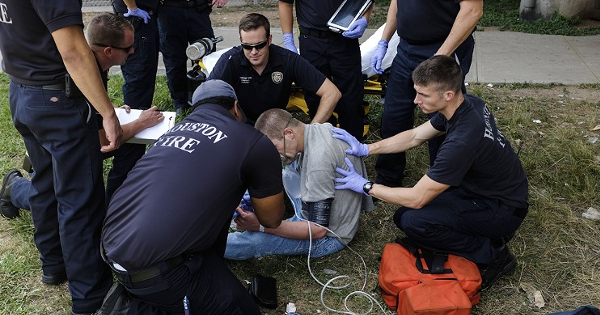 17 people, including six police officers, were injured this morning when a policeman used a Taser gun to subdue a mentally ill man in a flooded area of Houston. 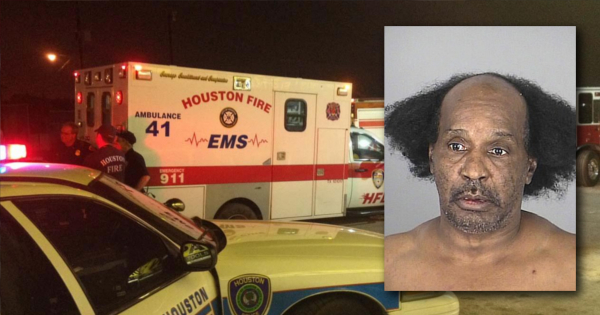 According to witnesses, several officers of HPD were trying to convince a 59-year old schizophrenic man named Maurice Brown to evacuate his parents’ home and the mentally ill man was very aggressive. He was standing in the middle of the street with water up to his waist and was yelling incoherent threats at the policemen. After a minute or two, one of the officers pulled out a Taser gun and fired at Mr. Brown, instantly electrocuting everyone in the area. Six people were critically and 11 others suffer from light or serious injuries as the electric discharge affected everyone within 50 feet of Mr. Brown. The victims were rapidly transported to various hospitals across the city and, according to WTN-TV, all of them have now been stabilized. Maurice Brown was most severely injured and was transported at the Texas Medical center. He is still unconscious but doctors no longer fear for his life. Several paramedics were called to the site to treat the victims. According to medical sources, most of them only suffered from severe burns, while a few also suffered from heart problems. Houston Police chief Art Acevedo commented the incident this afternoon in a press conference, saying an investigation would take place to clarify the circumstances under which the weapon was fired. Chief Acevedo also stated that Mr. Brown had a long history of violent behavior and that the officer’s use of his Taser gun was “possibly justified”. He says the investigators in charge of the case have already met several witnesses and that the results of their inquiry should be made public in a few weeks. The incident and the HPD’s press conference have generated a lot of reactions across the United States. Many organizations, including the Mental Disability Advocacy Center (MDAC) and the National Association for the Advancement of Colored People (NAACP), criticized the actions of the Houston Police Department and said they would “closely monitor” the investigation. 2 Comments on "Houston: police tases man standing in 3 feet of water, 17 people injured"
up to his waist in water? what was the cop afraid of? getting splashed? Obv the dumber & dumber cop, has never heard the saying, don’t let the hair drier fall in the tub. Now he has learned the hard way, & got electriFRIED. U reap what U so. I onlt feel 4 the innocents.